As the global demand for food and agricultural commodities continues to rise, the pressure on agricultural land also increases. Urbanization trends, changing diets, climate change and land degradation due to improper agricultural practices are exacerbating this development. 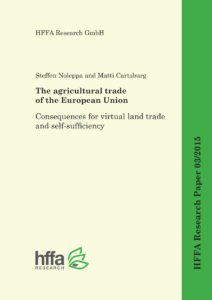 In the newest study published by HFFA Research, Steffen Noleppa and Matti Cartsburg take a deeper look at the status of agricultural trade in the European Union (EU) and its consequences for agricultural land use on a global scale. The study highlights that between 2012 and 2014, the EU had net imports of around 18 million ha of virtual agricultural land on average. The amount of land virtually imported has been decreasing since 2007, which indicates a growth in agricultural productivity in the EU as well as in the rest of the world. This development is also reflected in the most recent agricultural self-sufficiency indicators. While the EU is currently still importing more crops and livestock commodities than it is exporting, we calculated that agricultural self-sufficiency has slightly improved over time and is now at around 89 percent, measured in terms of grain units. While considering these developments, the authors still warn that further necessary agricultural production increases are in jeopardy. Conventional agriculture is often met with outright skepticism by large parts of society and policy debates often mirror this perspective. Hence, the EU currently hampers investments in agricultural research and development that are necessary to achieve further increases in agricultural productivity. 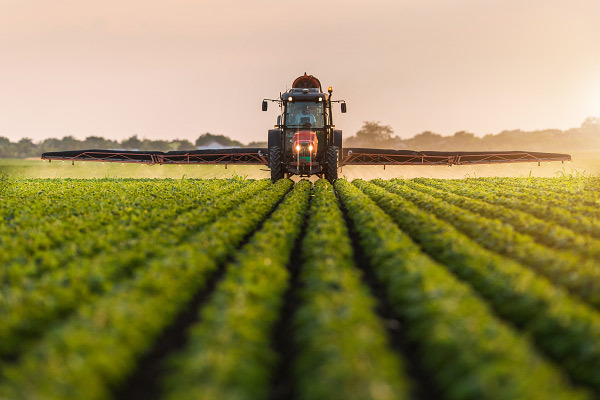 In order to contribute substantially towards better conditions for world food security, efforts to further increase agricultural productivity in the EU must be maintained.